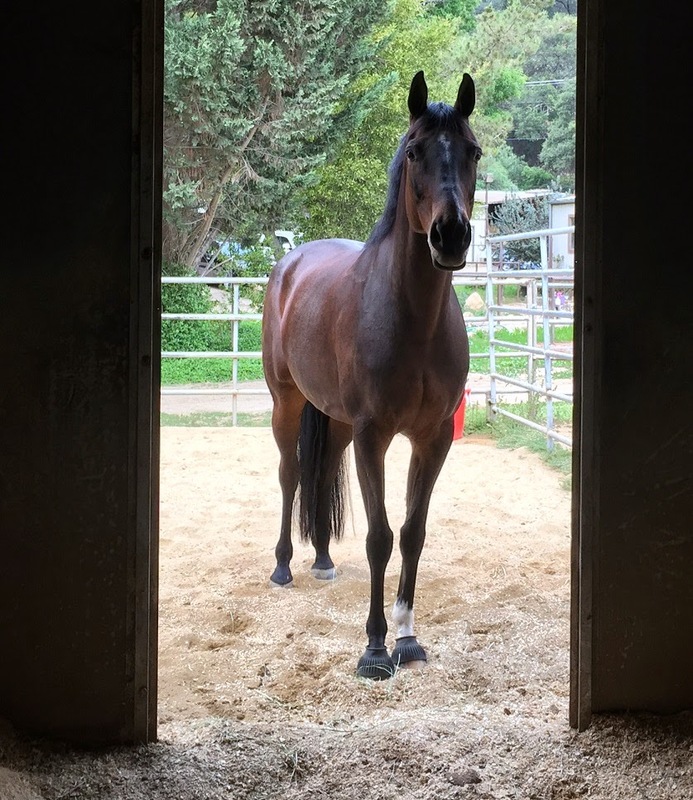 Hannah is a sweet 14 year old TBxDutch WB mare who has come into my life with uncanny timing. She is coming back into work following an injury, so right now we are taking it slow, getting to know each other. She isn’t mine at this point, but so far we are both enjoying each other’s company. Her owner has had Hannah since birth. In fact, she owned her dam for many years and bred Hannah. 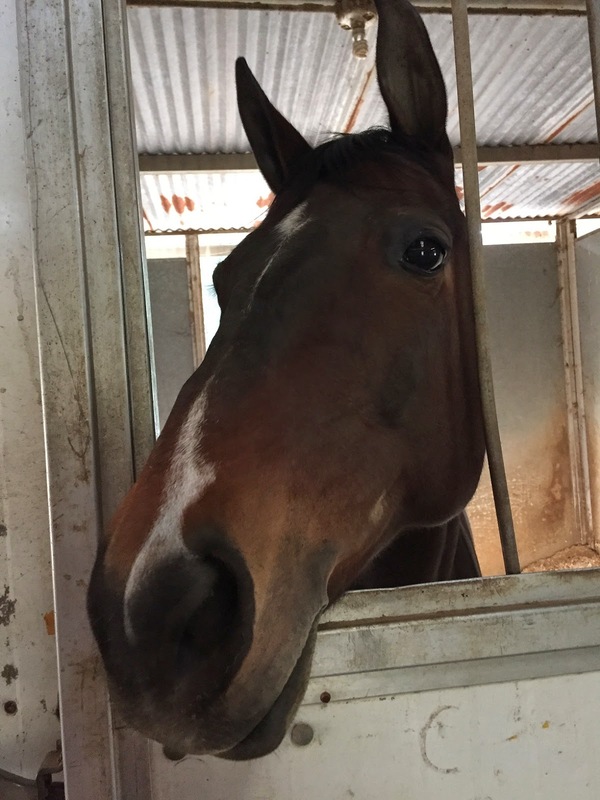 Small world – turns out she was foaled at the property I now have her boarded at. 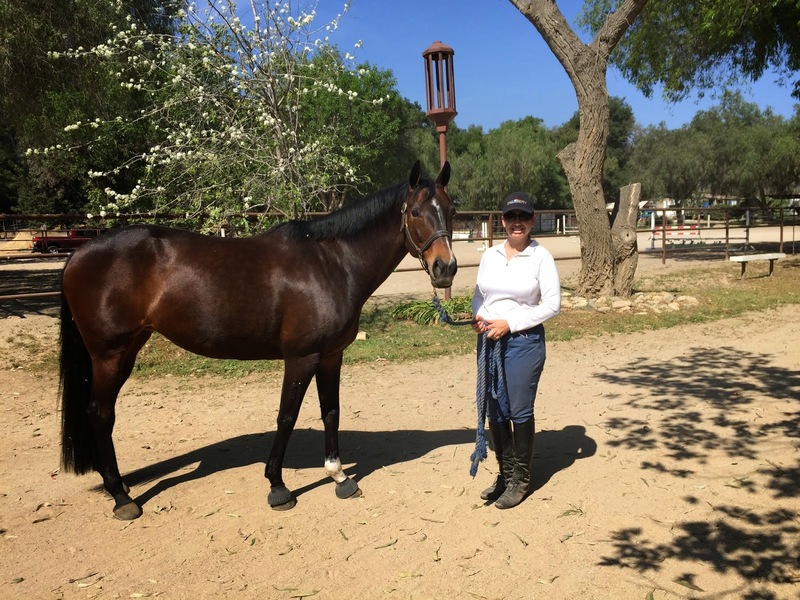 She has been brought up as a hunter, and for years has been in training with a well-known A-circuit hunter trainer in Moorpark. 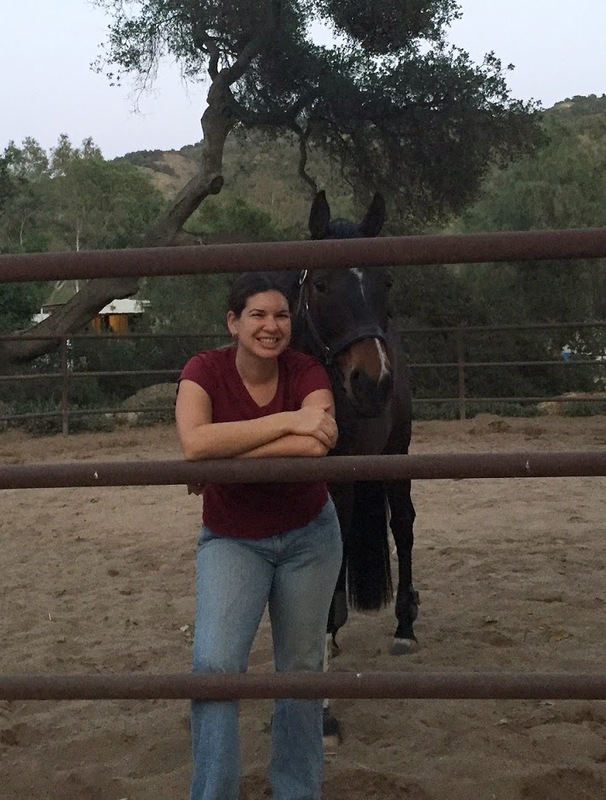 She’s done a number of shows and clinics, and the owner and former groom were sure to tell me about how great she is with banks and trail rides, and how much dressage she knows (way more than me, it turns out) since I’m an eventer. So far she has shown to be completely quiet and sensible. She has been a pleasure to work with. She is a super snuggle-bug and a cookie queen. She looks like a wonderful horse! Can't wait to read more! Ohhhhh pretty mare! Can't wait to learn more! This is excellent! She's gorgeous! How cute is she?! Can't wait to hear more about her! & a cookie queen! Sounds very exciting! Gorgeous! Can't wait to read more about her! She is gorgeous, Sarah!!!!!!!!! Oh, yeah for finding a good partner. :0) I can't wait to meet her!!!! What a gorgeous mare! She has such a sweet face too. I hope everything goes well with both of you! Ohhhhhh yay!!! Excited to hear more about her!! She looks so sweet, and PRETTY! Can't wait to hear more about her!